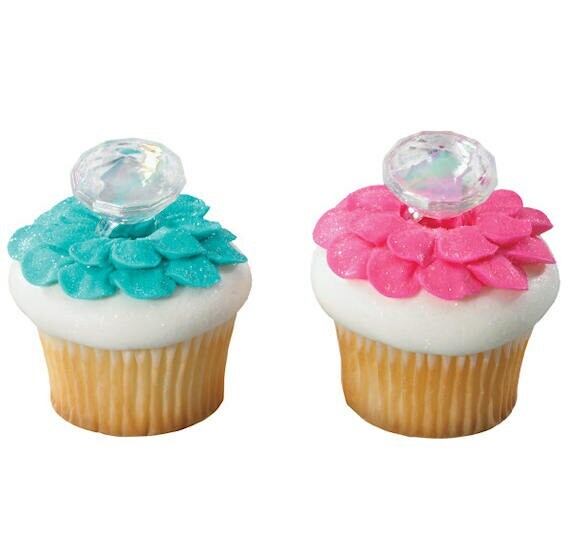 These pretty diamond cupcake topper rings are perfect for decorating bridal shower cupcakes, bachelorette party cupcakes and even princess party cupcakes! They also make a nice little party favor. Tie them to a goodie bag or favor box for extra decoration. Top a cupcake with frosting, add a dash of sprinkles or edible glitter then place your ring on top for a pretty celebration cupcake in no time!